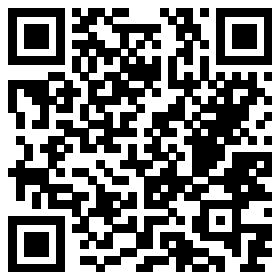 * Scan QR code to download the app. Mobile Assistant Software Requirements: iOS version 7.0 or above/ Android system version 4.3 or above with bluetooth 4.0 support. 1.What’s the difference between the Ronin, Ronin-M and Ronin-MX? The Ronin and Ronin-M are designed specifically for use on the ground and we do not recommend using them in the air. 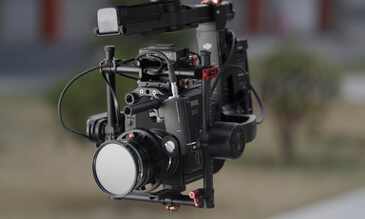 The Ronin-MX includes all the functionality of the Ronin and Ronin-M, i.e. Three Operation Modes, built-in receiver and remote control, and is also compatible with DJI Assistant 2 and DJI GO, for controlling gimbal settings. 2.What is the M600? Can I fly the Ronin-MX on other platforms? 3.What is the difference between the Ronin-MX cage design and the design of the Ronin-M? Is the non-cage design is not as stable? 4.Is the Ronin-MX’s stabilization more accurate and higher-performing than the Ronin and Ronin-M? 5.What is the control range of the Ronin-MX remote controller? 6.What is the biggest weight I can put on the Ronin-MX? 7.How heavy is the Ronin-MX? 8.What is the controllable range of the Ronin-MX? Is it different from Ronin and Ronin-M? 9.When mounted to the M600, what is the maximum weight for the camera and lens that I mount on the Ronin-MX? 10.Are the Three Modes of Operation still available on the Ronin-MX? 1.Can the Ronin and Ronin-M battery be used with the Ronin-MX, and vice versa? 3.How long does the Ronin-MX battery last? 4.Does the Ronin-MX come with the rear battery plate? 5.For how long can the second battery power a camera? 1.What cameras is the Ronin-MX compatible with? 3.Do I need extra accessories for mounting cameras? 1.What is a Ronin Grip? How do I use it? 2.What is the SRW-60G? Why do I need that? 3.What is a Remote Start/Stop? 4.What is the maximum range over which I can control the camera focus when mounted on the Ronin-MX? 1.When used with the M600, is it possible to configure SmoothTrack™ and other settings for the Ronin-MX within DJI GO? Yes. Other than controlling the M600 and its Intelligent Flight Modes, remote control modes and seeing the camera’s live HD view, you can adjust the Ronin-MX’s SmoothTrack™ settings through DJI GO. Camera profiles are also created for different cameras (i.e. for RED and DSLR cameras), saving you time when switching between different cameras. 2.How do I control the Ronin-MX through DJI GO when mounted to the M600?